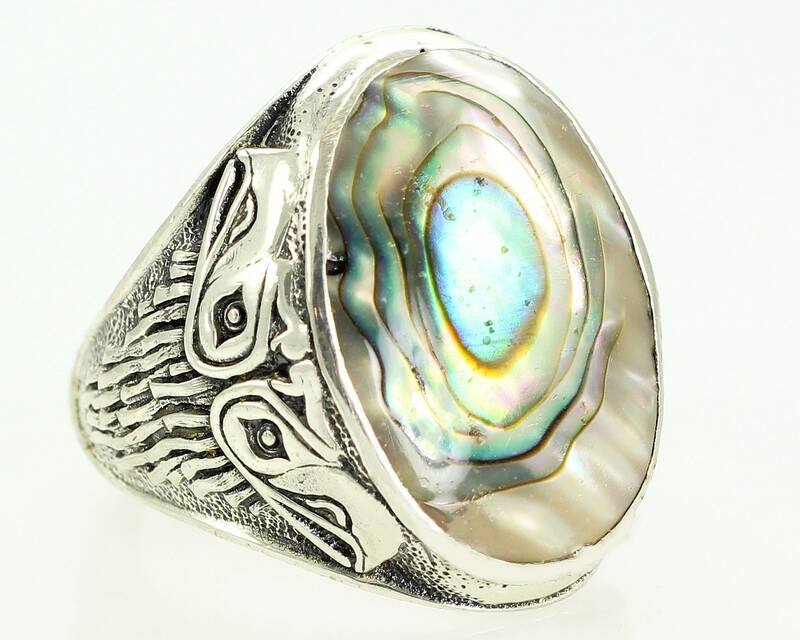 Man's Vintage Sterling Silver Abalone Shell Ring by Bell Trading Post. It is a New Old Stock from the 1970's. 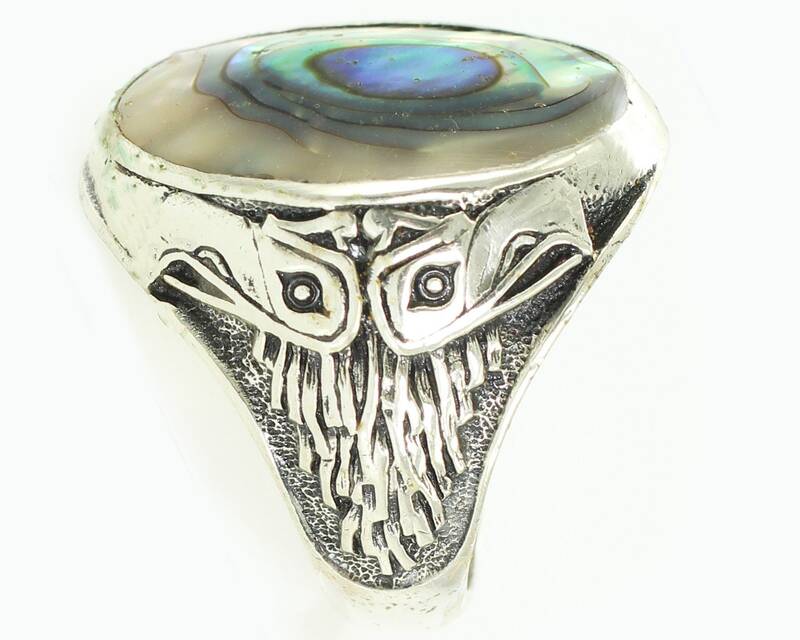 The mounting features a bezel set abalone shell cabochon. 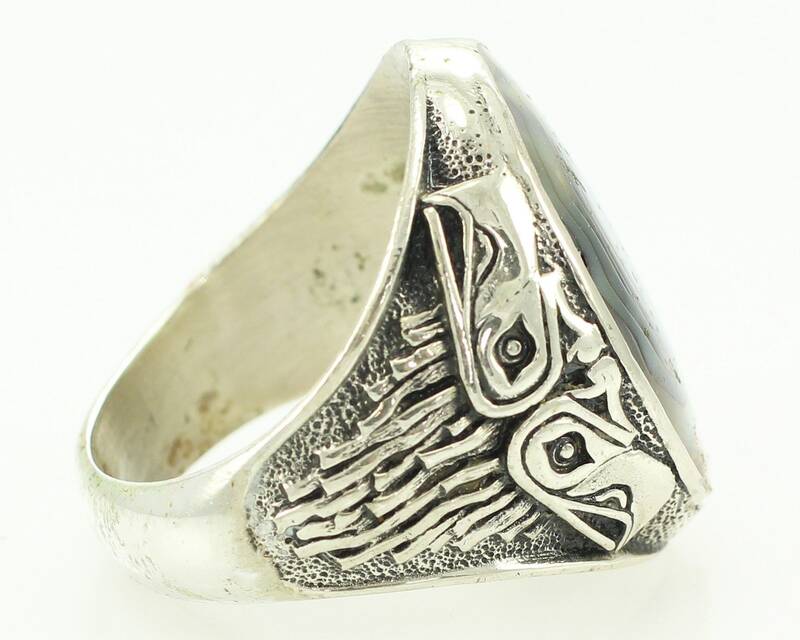 The shoulders feature pairs of sea hawks in the style of Pacific Northwest indigenous art. 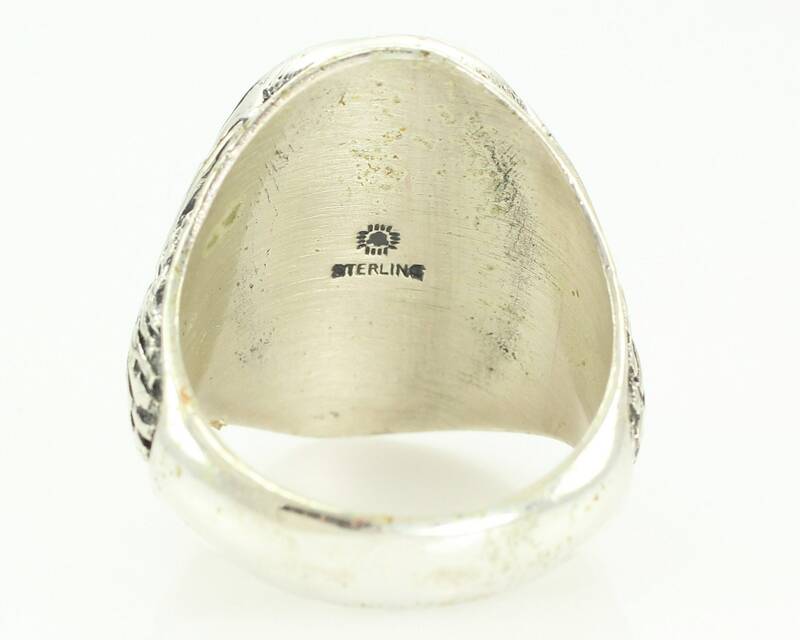 Made by Bell Trading Company, the ring has the Bell with sun ray mark on the reverse of the stone setting. 30 mm at the stone, tapering to 6.25 mm at the reverse. 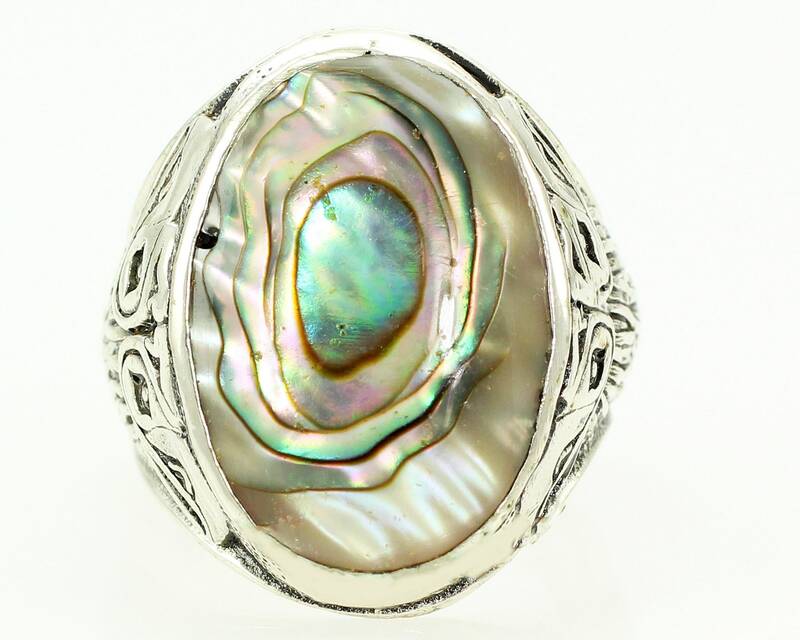 The abalone shell cabochon measures 25 mm X 17.5 mm. HALLMARKS/HISTORY: Sterling on underside of the stone mounting, with the bell surrounded by sun rays. This is the mark used by Sunbell of Bell Trading of Albuquerque, NM used this mark from 1972 until the company closed. CONDITION: In excellent, unworn vintage condition. New Old Stock. MEASUREMENTS: 30 mm at the stone, tapering to 6.25 mm at the reverse.